I really love the breathing space I’m experiencing from slowing down this month. 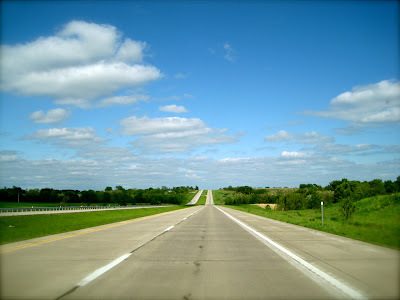 I like not speeding ahead. I like noticing the scenery. The road is open, the sun is out, the air is fresh, P!nk is blasting through the speakers, and I’m feeling enlivened by new possibilities. I think I could get addicted to creating space. Many of you know by now that I’m focusing much of 2010 on reducing clutter to create space for what matters most in my life. So many awesome bloggers and dreamers have joined me in this hard, challenging, rewarding task and I’m SO grateful that I don’t have to do it all alone. Sarah and I have created a casual list to help guide us as we sift and sort through our clutter for the remainder of the year. This list takes us through the next seven months and offers a suggested area of focus. Some of you have created your own list so please continue to do that! But I know many of you have been looking for some simple ways to get started, and using a list like this one is a great way to begin. 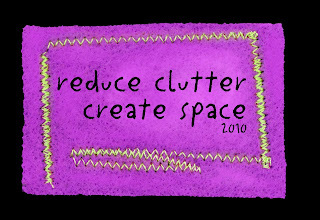 You can find our Reduce Clutter; Create Space list for 2010 HERE. 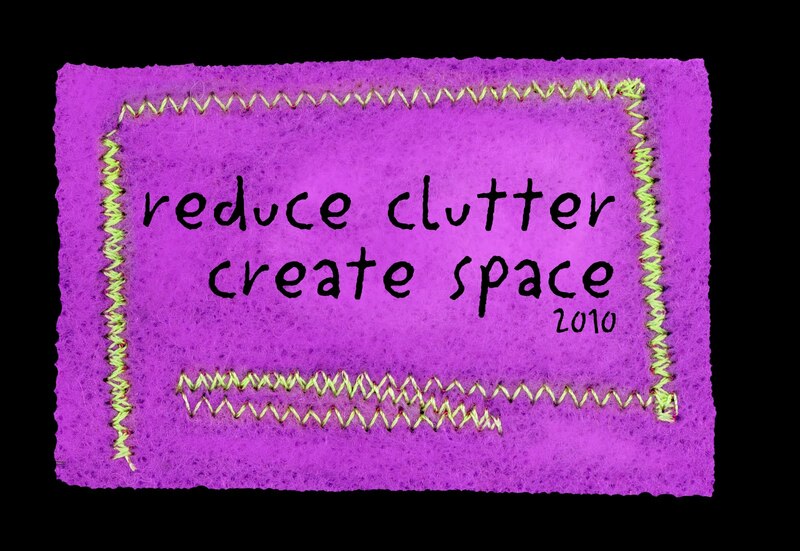 As you work through your struggles, challenges and celebrations around clutter, please feel free to share on our Reduce Clutter forum. It is in the sharing and connecting with each other that we tend to grow the most. If you’d like to see the list of nearly 60 participants making space, visit HERE. Your Personal Reflection: Do you hold on to thoughts or things from the past? How can you let go of more to create space for your dreams and the things that bring you the most joy in life? Start today. I'll have to remember there is a forum! That's pretty awesome and so is the list. I'll be doing major de-cluttering soon because I am moving cities! Most of the clutter I've been managing is from within; fear takes up a lot of space! I've been enticing it out with sweets though! Thanks, you two, for your thoughtful comments. I do think the outer clutter helps with the inner clutter, but I'm a true believer that the more inside work we do, the more we will see our outer world change. I will blog more about this topic soon because it's so important and one we all face. It's the main reason I created "Inside Out." Lots of clearing to do . . . .